The automotive industry is how it all began for Best Tool & Engineering, so we know it well, and we hold ourselves – and our injection molds – to the highest of standards. 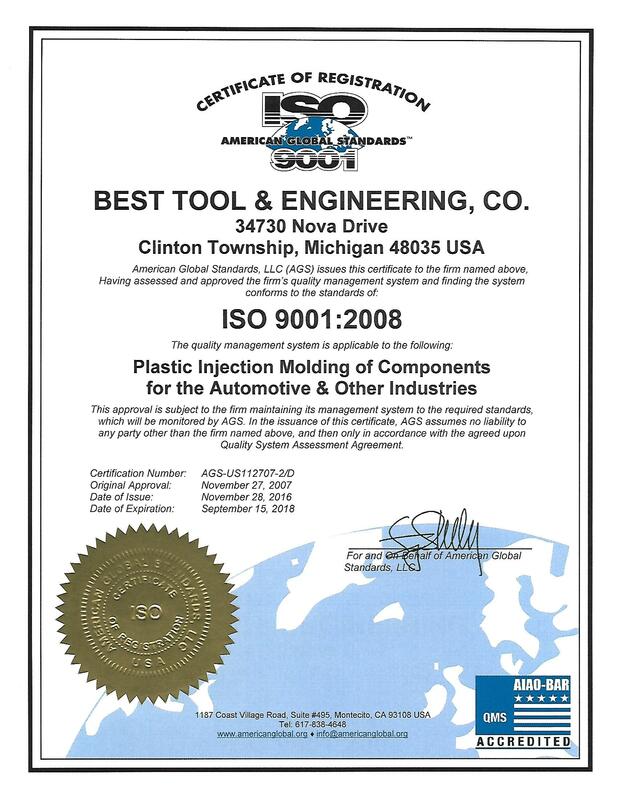 As your plastic injection mold maker or builder, we guarantee precise, consistent automotive parts. 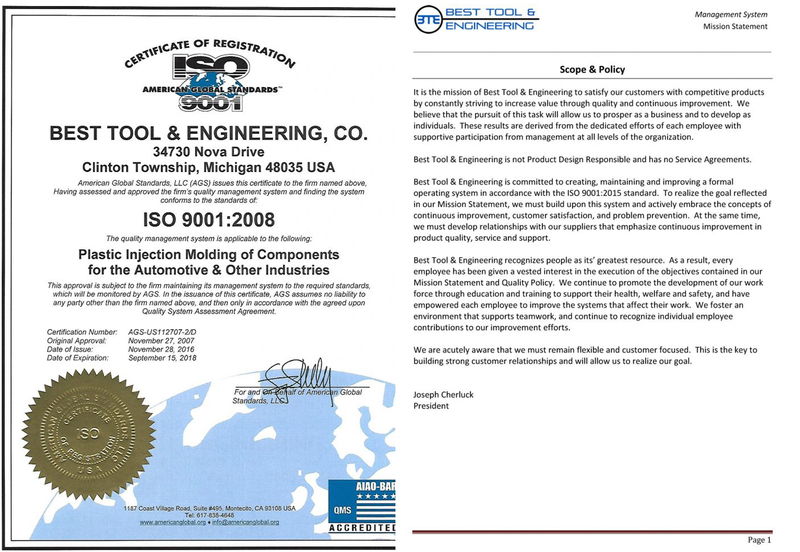 Whether working from your design or working with you to create the perfect design, Best Tool & Engineering will do what it takes to be your first choice for an injection molding supplier. However your needs dictate, we can assist or direct at any step along the way, from product development to product design of your plastic injection molds. 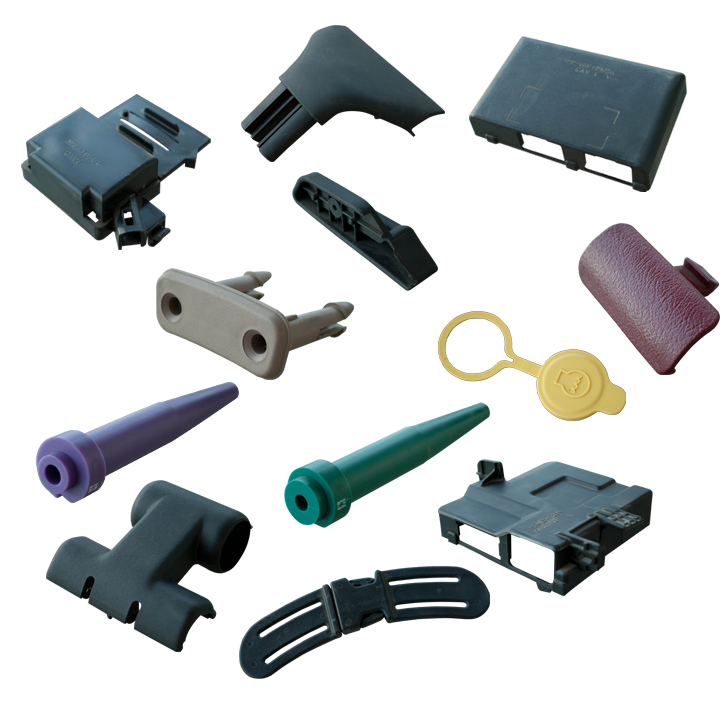 From power door modules to automotive washer fluid caps to chime boxes and so much more, Best Tool & Engineering has the experience and skill to fulfill your plastic injection molding and parts needs.